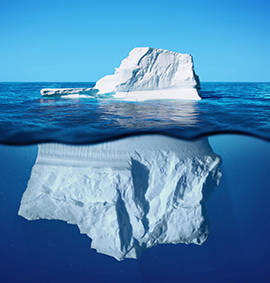 Learn the Secrets to Giving Your Audience the Emotional Experience They Crave! The best movies all share this in common: they inspire emotion. Emotional stories grab audiences. People rave about the stories that make them feel fear, joy or sorrow. These movies win awards, pile up profits, and become lifelong favorites. And all professional screenwriters know the foundational tool to make this happen: SUBTEXT. In real life, people rarely say what they mean. Near the end of WHEN HARRY MET SALLY, Sally tells Harry, “I hate you,” but it’s obvious to the audience that she means exactly the opposite – and that fills it with emotional power. That makes it feel real. That’s Subtext. When Subtext is missing, characters feel flat; scenes feel superficial and emotionally dull. But when it’s there, it immerses and hooks your audience, making them fall in love with your story by engaging them at a deep, subconscious level. And by learning Subtext, you can become a master at engaging audiences! 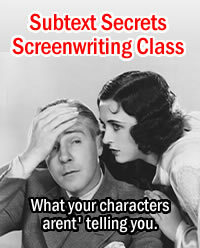 This class presents a step-by-step model to demystifying subtext and elevating your screenwriting. Every day of the class you’ll see new skills and then immediately put them to use in our assignments. With Subtext in your skill set, you’ll know exactly how to write the depth that captivates producers and audiences alike. “How do your online classes work?” Find out on our FAQ! Day 10: Subtext In Your Scripts!